The new heartthrob who’s taking over all of our screens from now on, Ross Butler, stars on CW’s remake of Archie Comics, “Riverdale” and Netflix’s adaptation of Jay Asher’s “13 Reasons Why”. The 26-year-old born in Singapore is slowly rising to stardom and no one’s complaining. Butler started acting only in 2010 but has quickly become a force to be reckoned with. As he continues to make a name for Asian-American actors everywhere and adding the diversity that is much needed in Hollywood, I am pretty sure we will continue to see him grace our screens with his A+ skills. Portraying an originally non-Asian character, Reggie Mantle on Riverdale, Butler is shattering stereotypes. In an interview with WWD, he mentions his frustration with Asians always being immediately stereotyped and given roles related to “martial arts” or being “the nerd”. Well, you certainly showed them, Butler. Playing not only Reggie Mantle, a character famous for his athletic skills and interest in girls, but also Zach Dempsey on “13 Reasons Why”, a popular jock, Butler is well on his way to changing perceptions. In the main cast of “13 Reasons Why”, we also find another Asian-American, Michele Selene Ang who plays Courtney Crimsen. Michele, as well, combats this ‘whitewashing’ issue and is making the rounds with her viral t-shirt. Minority representation is important and with actors like Ross Butler breaking the stereotypes, it should give us hope for seeing more Asian representation on the screens of Hollywood. What’s more important is to know that Butler knows this is important and he actively voices his opinions. Showing support is what we should all do in return. It’s a small step, but one nonetheless. What’s next is learning to cast and furthermore accepting Asian-Americans as the leads in movies or television shows. Who knows, maybe in the coming future we won’t have to find ourselves hashtagging #HollywoodSoWhite anymore? 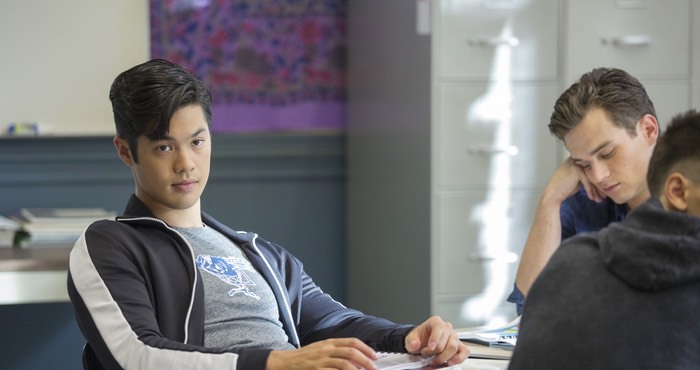 Catch Ross Butler on Netflix by binge watching “13 Reasons Why” and waiting patiently for a new episode of “Riverdale” every week.